Weather forecasts this winter have brought plenty of bad news. Today brings similarly disappointing news on the flu front. The Centers for Disease Control and Prevention (CDC) released their interim estimates for this year’s flu season, and those being hit the hardest aren’t who you’d expect. Normally, flu most strongly affects those on the ends of the age spectrum: those under 4 years old and over 65. But so far in the 2013-2014 season, the greatest number of cases—and the greatest number of deaths from flu—fall into the young and middle-aged categories, the people often assumed to be the healthiest and heartiest. Some 61 percent of hospitalizations for influenza this season have been people between the ages of 18 and 64, up from 35 percent last season. The story is similar among deaths from flu: a surprising 60 percent occurred in the middle-age categories, up from last season’s 18 percent. The trouble, it seems, is the particular strain of flu this season. The predominant influenza virus circulating in recent months has been the notorious H1N1. 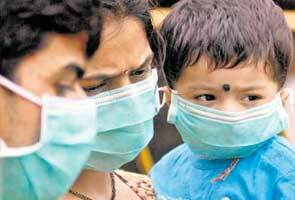 Back in 2009, this virus (then called swine flu influenza A) made its presence quickly and painfully known. It started with a single case in a 10-year-old Californian girl, and spread from there. By June, cases had been reported in 70 countries and the World Health Organization declared the disease a pandemic. The U.S. was hit the hardest, with cases in all 50 of the United States and its territories. While the H1N1 virus has been in circulation since then, this appears to be its first notable flare up. And in 2009, as in our current 2013-2014 season, a surprisingly large percentage of cases occurred in the young and middle-age categories. With the help of vaccines, this year’s prospects don’t look nearly so grim. The CDC followed up with more than 2,000 people showing flu-like symptoms between December 2013 and January 2014, and found that the risk of influenza requiring a doctor’s visit was reduced in vaccinated individuals by about 61 percent versus those who didn’t get the vaccine. Flu season isn’t over yet, though. The CDC anticipates weeks of influenza yet to come, and points out that it’s not too late to get a flu shot. The flu is hitting young and middle aged people in the United States particularly hard this season, as a tough flu strain re-emerged and too few people were vaccinated, health authorities said Thursday. More than 60 percent of all severe flu cases this season in the United States were in people 18-64 years old — or about double the usual rate, they said. Typically, people at risk for flu complications include pregnant women, the elderly, children and people with compromised immune systems. The main flu circulating this season is H1N1, otherwise known as the “swine flu” that caused a pandemic four years ago. “It is back this year, and it is hitting younger people hard,” said Centers for Disease Control and Prevention chief Tom Frieden. Only a third of all people in that age group were vaccinated as of November, compared to nearly two-thirds of children and elderly people, he said. People with underlying health conditions such as obesity, asthma, lung disease and diabetes are particularly vulnerable to dangerous bouts of the flu, leading to pneumonia and possibly death. Although experts do not have a tally of US deaths yet this season, early indications suggest that there have been more deaths than normal in the 18-64 age group. Over the previous three flu seasons, people age 18-64 represented only about 35 percent of all flu hospitalizations. Last year the predominant flu type was H3N2, which accounted for fewer hospitalizations among middle aged people. Getting vaccinated lowered the risk of having to see a doctor by about 60 percent for people of all ages, the CDC added. “Vaccination is the single most important thing you can do to protect yourself against the flu,” Frieden said. 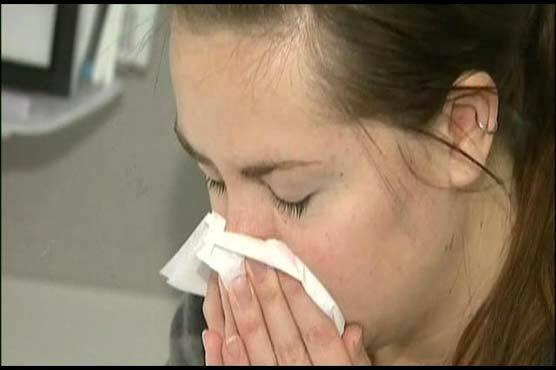 The flu is expected to continue to make people sick for the next several weeks across the United States. The CDC recommends that all people over the age of six months get a flu vaccine each year. You may have heard of binging on pizza as a cause of stomach distress, but how about a a cure? Researchers found that a chemical in oregano called carvacrol causes norovirus to break down in mice, according to a study published today in the Journal of Applied Microbiology. Carvacrol, which gives oregano its distinctive flavor, caused the layer of proteins surrounding the vomit-inducing virus to break down. Another antimicrobial would then be able to get into the virus and kill it. Since carvacrol doesn’t produce any noxious fumes or by-products, it has good potential to be used in sanitizers for schools or hospitals, the researchers noted. A single flu vaccine that would protect against all strains of the virus for life may be coming soon, which could make annual flu jabs that cost the NHS around 100m pound per year a history. Scientists working on the universal flu jab, known as Flu-v, are in the early stages of development but hope to offer a product to the NHS within three to five years. The company behind the drug, SEEK, will present the results of a small-scale clinical trial at the Influenza Congress in Washington DC on Tuesday. Results so far have shown that it can significantly reduce infection rates and also cut the severity of symptoms. Because flu is so changeable, pregnant women, the elderly and other ‘at risk’ groups are given a new injection every year. The flu virus regularly mutates its `outer coat`, which is what a vaccine usually targets. But the team behind Flu-v has managed to isolate a thread common to all strains of flu and by targeting that element, rather than the changing `outer coat`, the vaccine can cater for all requirements. That means it would protect against strains of bird flu and swine flu, as well as seasonal variants. `The trial suggest was only need one shot of vaccine,` the Daily Mail quoted Gregory Stoloff, the chief executive of SEEK as telling The Telegraph.Our aim is for the flu vaccine to become more like the mumps and measles – where you only need it once and you get protection for a long time,` he stated. With one more person testing positive for swine flu at a local hospital, the total number of those infected by the H1N1 virus in the city has reached 52 this year. Health officials said laboratory examination of swab samples of a 50-year-old man from Sonkutch in neighbouring Dewas district confirmed that he had swine flu. The patient is undergoing treatment for the last one week in a hospital and his condition is steadily improving, officials added. Flu vaccination is no longer merely a choice between a jab in the arm or a squirt in the nose. This fall, some brands promise a little extra protection. For the first time, certain vaccines will guard against four strains of flu rather than the usual three. Called quadrivalent vaccines, these brands may prove more popular for children than their parents. That’s because kids tend to catch the newly added strain more often. These four-in-one vaccines are so new that they’ll make up only a fraction of the nation’s supply of flu vaccine, so if you want a dose, better start looking early. But that’s only one of an unprecedented number of flu vaccine options available this year. Allergic to eggs? Egg-free shots are hitting the market, too. Plus there’s growing interest in shots brewed just for the 65-and-older crowd, and a brand that targets the needle-phobic with just a skin-deep prick. “We’re moving away from the one-size-fits-all to choosing the best possible vaccine for an individual’s age and condition,” said Dr. Gregory Poland, an infectious disease specialist at the Mayo Clinic. “The flip side of that,” he said, is that “this will be a confusing year” as doctors and consumers alike try to choose. Federal health officials recommend a yearly flu vaccine for nearly everyone, starting at 6 months of age. On average, about 24,000 Americans die each flu season, according to the Centers for Disease Control and Prevention.